The cultural collapse America is experiencing today should not be surprising given the corrupt ideologies embraced by our government officials who despise ethical sanity. In order to advance their agenda they must dispel the belief in absolute morality. To these individuals good and evil are relative concepts that evolve and change over time. What was evil yesterday is good today, and vice versa. Now, almost anything is acceptable except that which contradicts the notion that man is the supreme authority concerning good and evil. How did we get here and where did this absurdity come from? A brief look at Adam’s and Eve’s encounter with Satan will answer the question. It is to be explicitly understood that all people do not believe that Satan exists, or that Adam and Eve were actual people. To them, at best, the Genesis narrative is to be understood as an allegory. As for these individuals, they are part of the problem and not the solution. 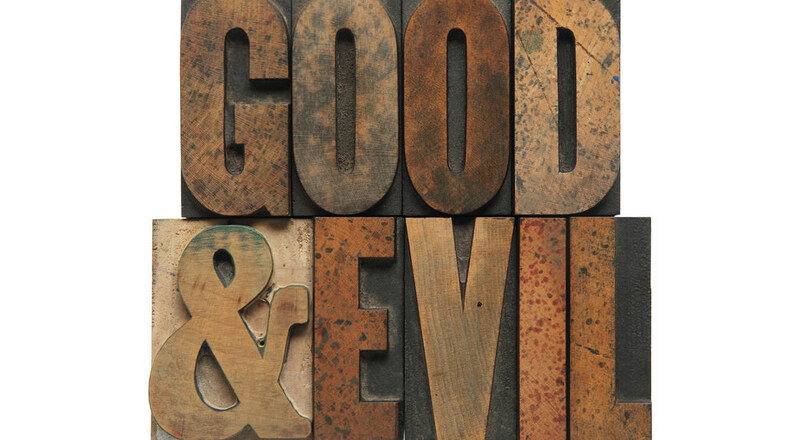 We know that good and evil exist, but how are they to be explained? The story of Adam and Eve is known to everyone who has read Chapter Three of Genesis in the Holy Bible. Satan in the form of a serpent tempted Eve to eat of the forbidden fruit of the Tree of the Knowledge of Good and Evil. Even though she knew that God forbid eating the fruit, Eve succumbed to the wiles of Satan and ate the fruit. She then gave the fruit to Adam, and he likewise ate the forbidden fruit, and evil entered the world of mankind. What did the Devil say that was so persuasive that our first parents would disobey God? “God knows that in the day you eat thereof, your eyes will be opened, and you will be as gods, knowing good and evil.” Their eyes were opened alright, but not in the way they were lead to believe. The great depths of depravity of every sort have plagued mankind ever since the original sin against God. The issue is not just to know good and evil, but with this knowledge to determine what is good and what is evil, even when it contradicts God’s delineation. When this desire moves from the individual to the highest echelons of government the intent deeply ensconced in the hearts of the decision makers is exposed. Arrogance magnifies the ways of the wicked. To “be as gods,” is the greatest aphrodisiac known to man. When lawmakers believe it is in their purview to challenge the Biblical norms of good and evil and construct the opposite, and then make their debased dictums the law of the land and mandatory on all citizens, social conflict is to be expected. However, this conflict is of a magnitude much greater than the individuals involved understand. In order for the State to accomplish its goal of transmuting good for evil and evil for good it must censure Christianity. Why is the Federal Government obsessed with silencing the Christian voice? It is Christian morality alone, with its embracement of “Higher Law” (the Laws of Nature and of Nature’s God) that challenges the State’s depraved passions. This contradiction of world-views is seen most evidentially in the Supreme Court declaring “as gods” that unborn children have no constitutional right to live. These “gods” contend that a woman’s womb has a constitutional right to be a potential execution chamber. This assertion is made, not withstanding the fact that God has said emphatically that life begins at conception, and this conception includes a living soul created by God Himself. In addition to the killing of over 55,000,000 human beings under the guise of freedom. God’s created design for marriage and human sexuality also represents a moral challenge for the little “gods” of the government. 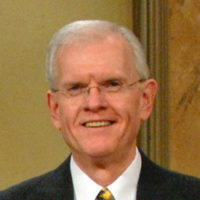 John Anthony Maltese writes in The Oxford Companion to American Law, “Like religion law is a means of regulating human conduct. It defines a society’s vision of ‘good’ and ‘evil.’” His statement is correct to a certain extent. As it stands today in America with the Supreme Court acting unconstitutionally as an auxiliary legislative branch, their law defines the Court’s majority’s vision of “good” and “evil,” not society’s. And, this vision of five to nine individuals is then pressed on the entire society no matter how evil the Court’s decision. Instead of Satan in the garden tempting Adam and Eve we have Satan in the court room tempting the Justices. The garden experience introduced evil into the world. Court decisions continue the sanctioning of evil. Both under the influence of the same being. The arrogance of some of the Supreme Court Justices in assuming the position of “gods” is seen in their insistence on denying that there is a Lawgiver greater than themselves. They defend this position based on a fabricated illusion of what “the separation of Church and State” actually means, concocted by themselves. To understand the full implications of this delusion, read my article, The Supreme Court’s Atheistic Interpretation of the Constitution and Its Consequence for the Destruction of America. Who people choose for their rulers is imperative. Governments are necessary in this fallen world and history proves that the foundation of Liberty is best laid on Christian morality. Supreme Court decisions (or any Court for that matter) reveal to whom the Justices are listening. God set the standard: “For rulers are not a terror to good works, but to the evil. Will you then not be afraid of the power? Do that which is good, and you will have praise of the same: For he is the minister of God to you for good. But if you do that which is evil, be afraid; for he bears not the sword in vain: for he is the minister of God, a revenger to execute wrath upon him that does evil.” (Romans 13:3-4) Satan has his own contrary standard. To whom will “We the People” listen, to God or to “gods”? Obama Stoops to a New LowWhat if Everyone Just Toed the Party Line?